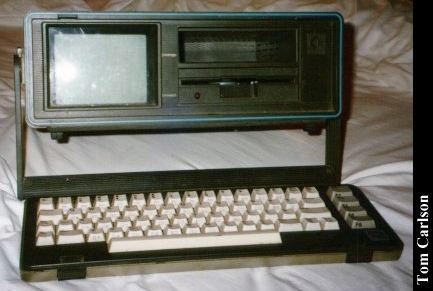 Classic 3/4 view with the cover/keyboard closed. 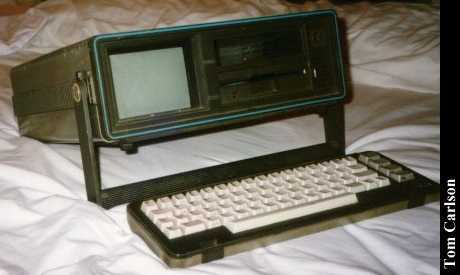 Top view with cover/keyboard closed. Rear view, showing all the usual C64 ports, except the cassette port! Click here to view all comments for the Commodore SX64 and to leave your own. 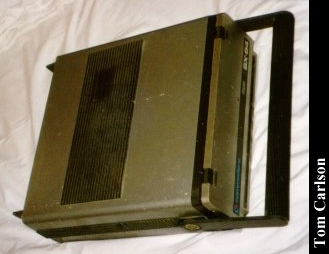 Click here to view comments about other Commodore computers.